These popular Australian Bible studies are designed to fall half-way between a sermon and a set of unadorned Bible study questions. They will provide stimulation and input, pointing you in the right direction and leaving you to do a lot of the exploration and discovery for yourself. Ideal for both individuals and small study groups. From Matthias Media. 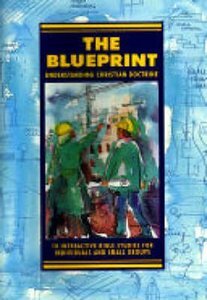 About "The Blueprint (Christian Doctrine) (Interactive Bible Study Series)"